I love to shop for books by their ISBN. No browsing, no keywords, no searching. Find the book instantly with the ISBN. It used to have ten digits, now it has thirteen. It’s like a license plate for your book. 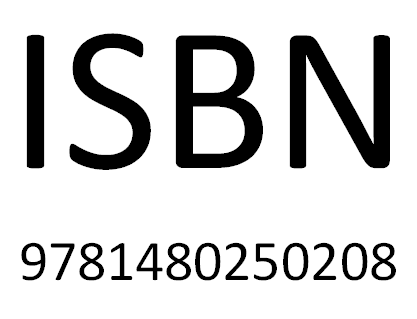 Identify your book by its ISBN. Not sure how to spell the title or the author? But need to find the book instantly? There’s no need to worry: Use the ISBN. What kind of a fool would try to write a poem about an ISBN? A song can have the most ridiculous lyrics, but be amazingly popular if it simply has a good beat. Very cleaver. I just got an ISBN number and this hit me in the funny bone. (The Village People thank you. That’s just pure genius when you add the music. Very creative in an only Chris would try this sort of way. Ha! Cleverness in any genre is always admirable!